Sometime during the 1870s, in what’s now the southwest corner of the Salt Creek Pasture, a few miles southwest of the headquarters at Guthrie, a party of buffalo hunters camped on a gentle midgrass slope above a tiny spring-fed creek. A midden of buttons, bottles, and flattened, crumbling tin cans marks their encampment. Brass casings, .50-caliber bullets, and an extractor from a Sharps rifle have been found nearby. At the top of the slope, above the camp, you can look north to Four Mile Hill and south toward the Double Mountains at Aspermont. Did the hunters ride to this point at sunrise to look out over the plains for bands of bison to be stalked and annihilated? It’s easy to picture their night fires and the low talk of men accustomed to living in the open, always mindful of the other hunters who once laid claim to these same grasslands – Comanche and Kiowa. The Four Sixes Ranch is not a relic, showpiece, or preserve. It’s a working cattle ranch, some 290,000 acres of west Texas prairie carefully used. Here, men earn their livelihoods on horseback not out of blind adherence to tradition or myth, but out of necessity. In the broken rangeland of King County and the High Plains of the Panhandle, horsemen skilled in herding methods developed by vaqueros and later refined by Texans driving herds of longhorns up the long trail to market still provide the most efficient and humane method of managing cattle. Spurs, broad-brimmed hats, and scuffed and patched boots are not fashion statements but essential tools. Yet the ranch is more than a business. As long as its vastness and ruggedness call for traditional cowboy skills, those skills will survive, as will as the loyalty, toughness, and resourcefulness common to those who do dangerous work in remote country. Perhaps the greatest Four Sixes legacy will be the land itself. Across four generations, each ranch foreman has striven to nurture and restore the land, to leave his successor a healthy range. That stewardship has produced some of the richest, most ecologically diverse grassland found on the Southern Plains today. 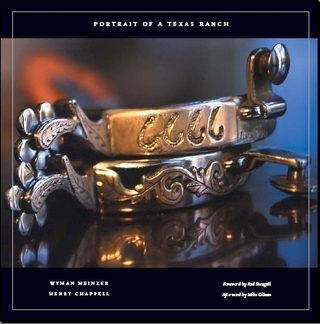 "Wyman Meinzer and Henry Chappell take you on an unbelievable journey through the beauty, the grandeur, and the drama of one of the most magnificent ranches on the planet." "[A] handsome, oversized book featuring lavish photos...150 pages of stunning pictures"
"If ever there was a coffee-table book that could exemplify the best of the best, this is it. Wyman Meinzer's photos portray the heart and soul of this historic ranch, but even more important so do Henry Chappell's words...His sentences drip with vivid imagery, allowing readers to watch a movie in their minds..."
"...beautifully written and illustrated...Meinzer's photographs and Chappell's prose enchant the reader as he turns each page to see a new vista and read a new chapter in the evolution and development of one of America's premier ranches." "It took a strong alliance to put this project together...The result is a keepsake that significantly adds to the lore of the famous West Texas ranch." "Meinzer and Chappell offer a defining study of the Sixes' heart, soul, and heritage in this breathtaking coffee table book."